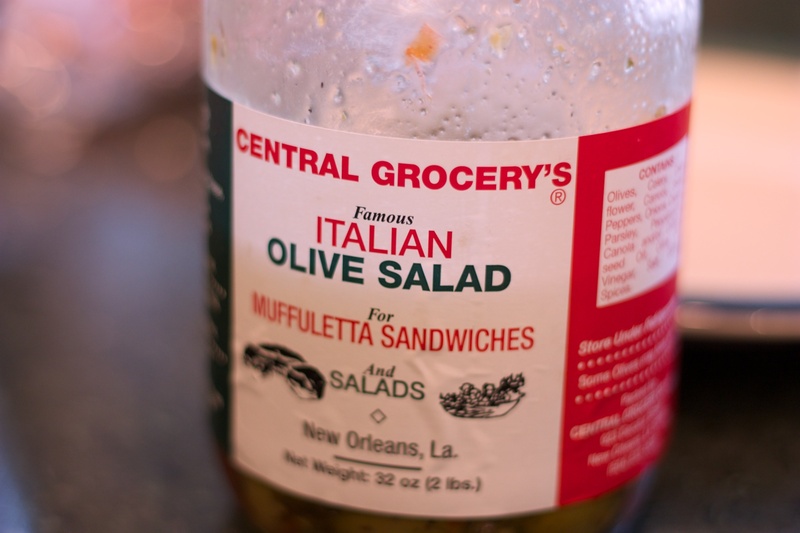 There has been a bottle of Central Grocery olive salad in my fridge since I returned from New Orleans this winter. I have broken it out for muffalettas, sandwiches and as a snack (a spoonful of olive salad at the right moment can fix everything wrong in the world), but I’ve been trying to figure out other ways to deploy it. There was almost always a bottle of giardiniera in my house as a kid. Most of the time, it was store bought from William’s or one of the Italian grocery stores on the North side. Every so often, my father or mother would get ambitious and make their own. It actually doesn’t seem all that difficult, combining olives, carrots, cauliflower, celery and onions in a olive oil brine, but for something I only eat once in a great while, it strikes me as not worth the time or money. That said, I still have this bottle of stuff from Central Grocery. 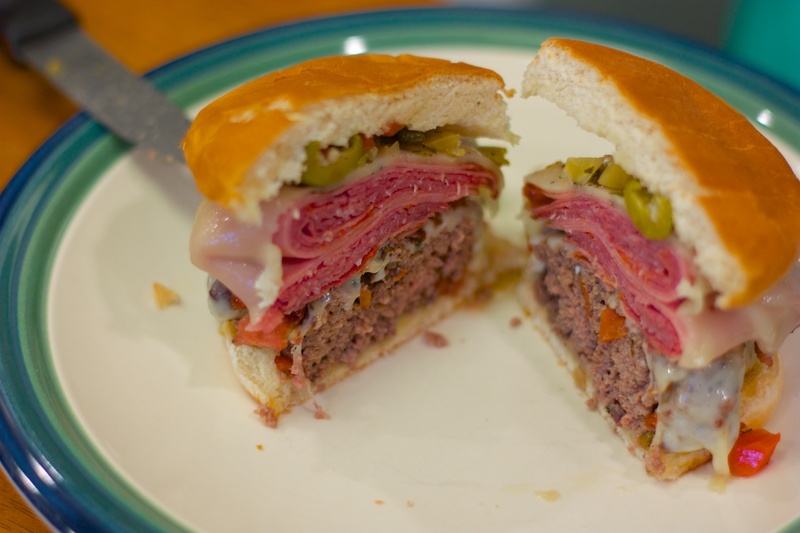 The idea of a muffaletta burger is not what I would call original. 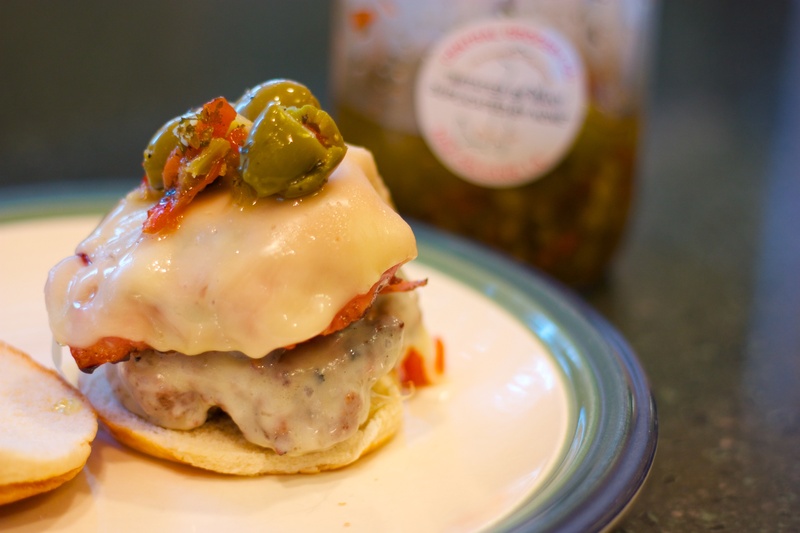 Take a bunch of lunch meat, slap it on a burger, melt some cheese and top with the olive salad. Eat. Right? Not what I would call an Earth shatterer, but a good idea taken on by many. WHAT DIDN’T: Rolls. To properly frame the burger, you should go after a ciabatta or focaccia roll. This was a last-minute thing, so The Wife just grabbed what was in the freezer. WHAT DID THE WIFE SAY: She seemed to enjoy them though I think she was put off by the cumbersome size of things. WILL IT MAKE ANOTHER APPEARANCE: Not that I need an excuse to eat mortadella, though this would be a good one. In a small mixing bowl, add the beef and a heaping soupspoon of olive salad. Add a healthy pinch of salt, then mix by hand until well combined. Divide into two even portions. Use your hand to pack into a ball then flatten gently with the palms of your hands. Set aside. Lie two slices of mortadella flat on a plate. 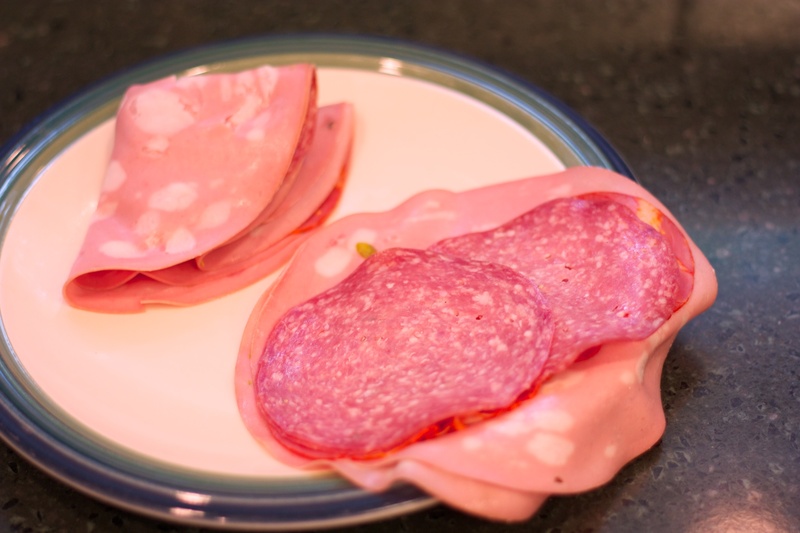 Set two slices of capicola and two slices of salami in the middle. Fold in half then fold in half to create a wedge. 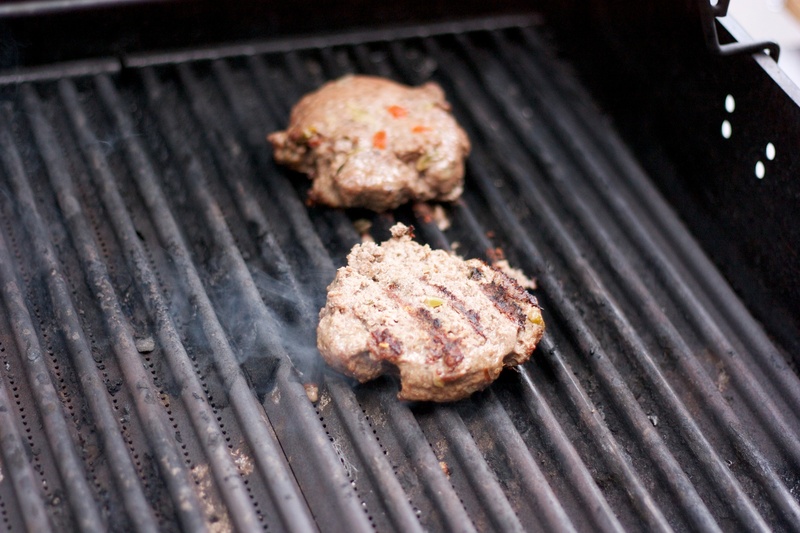 Place burgers on your grill and flatten slightly with the back of your spatula. Cook 3 to 5 minutes, then flip, cooking and additional 3 to 5 minutes to medium. 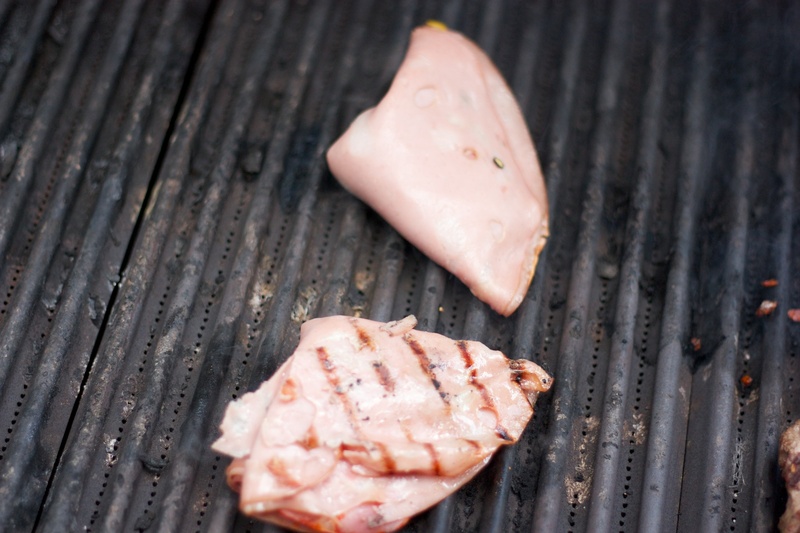 Add the deli meat to the grill after flipping the burgers. 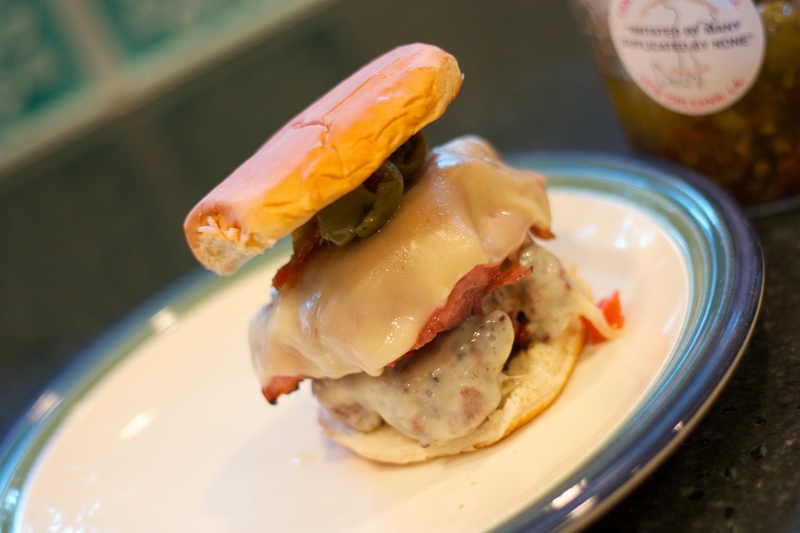 With a minute to go in the burger cooking time, top the burger with cheese and flip the deli meat. 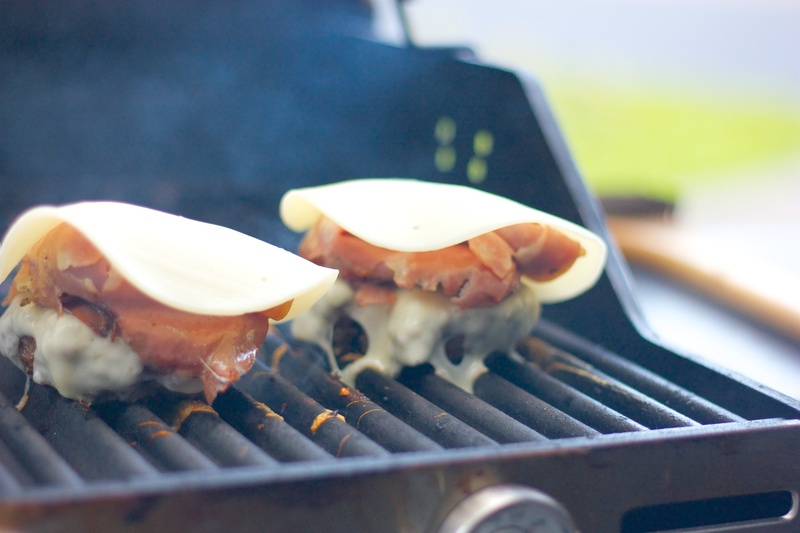 After 10 minutes on the grill, or when the burgers reach medium, transfer a deli meat to the top of each burger, then place a slice of provolone on top. Let cheese melt on top before removing from heat. 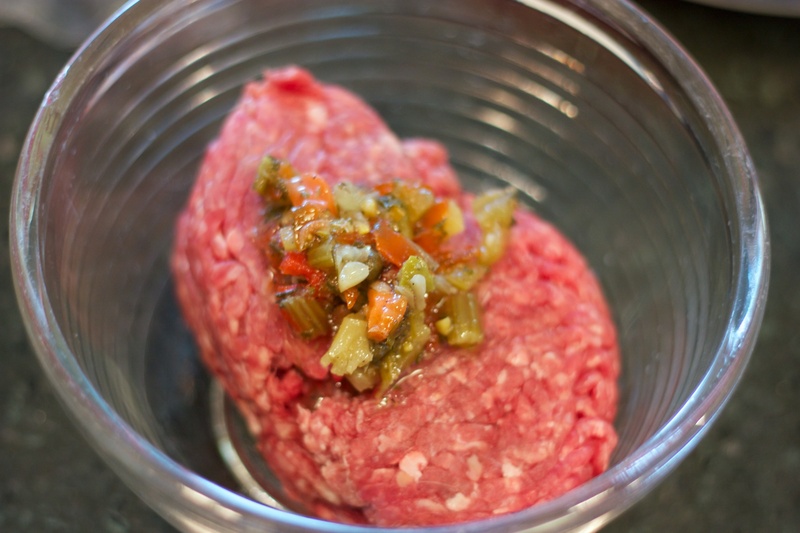 Place burger on the roll, top with olive salad and serve.